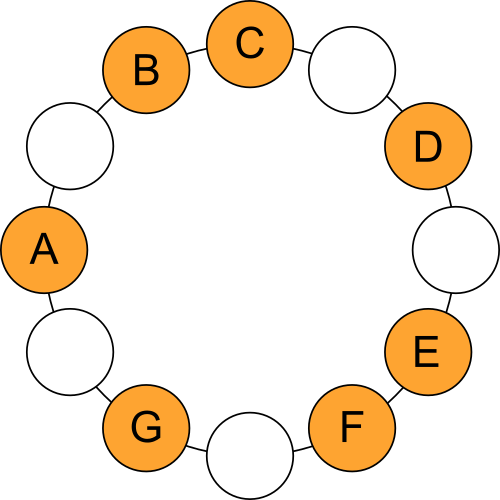 The C major scale as it occurs on the guitar in standard tuning, presented with the note names displayed. 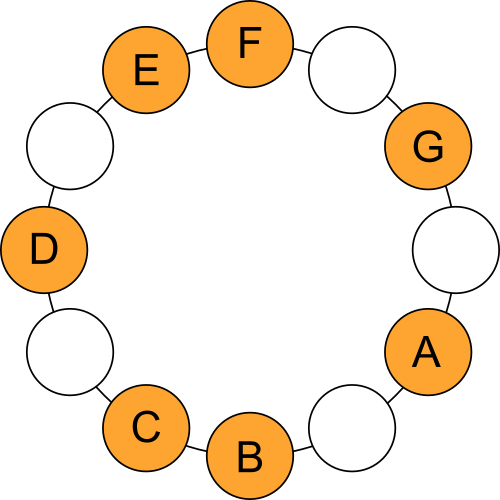 The C major scale as it occurs on the guitar in standard tuning, presented with the note intervals displayed for the ionian mode. 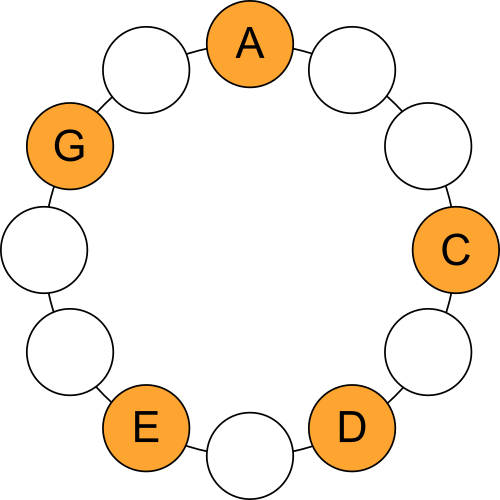 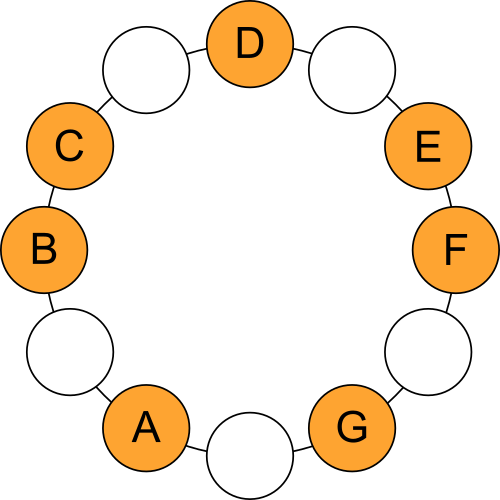 When you look at the bracelet representation of this scale (the circle of notes), this scale is perfectly symmetrical. 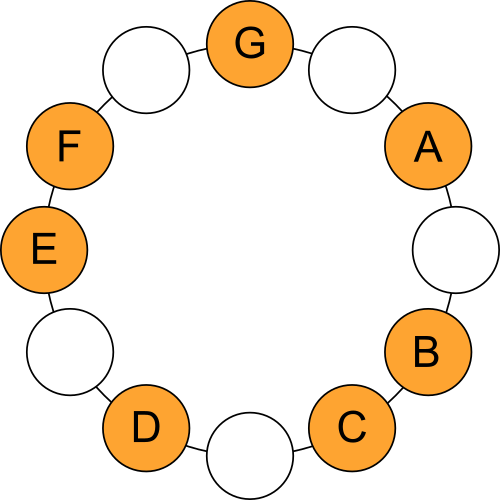 For the musical genius and guitarist Allan Holdsworth, this inspired him to essentially base his theoretical concept around this scale as a vantage point. 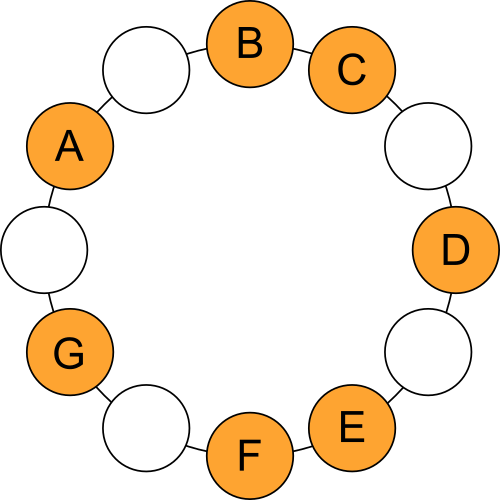 This simplification is one example of how luminous his perception and way of thinking was and how he must have been naturally able to reduce concepts to the bare basics. 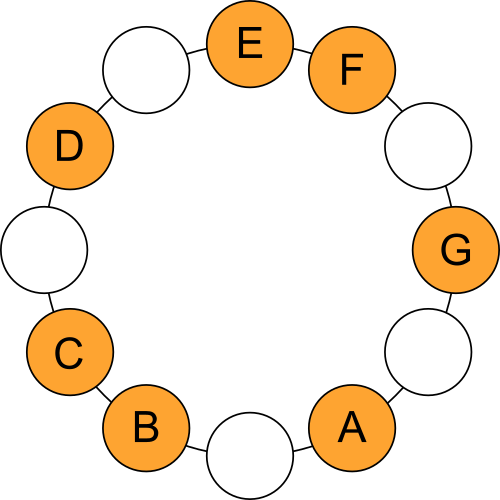 This mode is also known as the Natural Minor scale. Observe that this scale is where the western musical alphabet comes from: A - B - C - D - E - F - G.
Visit the Main Topic for the Am Pentatonic Scale. Visit the Main Topic for the Dm Pentatonic Scale. 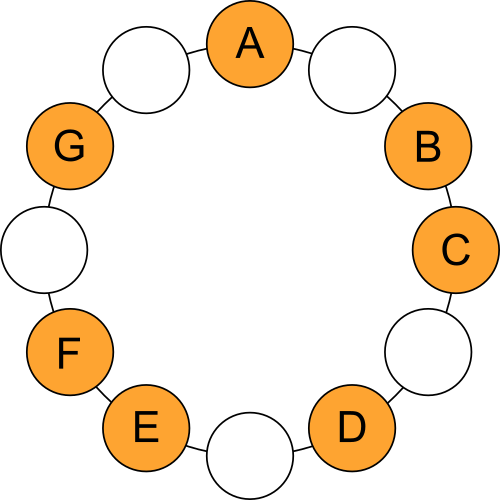 Visit the Main Topic for the Em Pentatonic Scale.